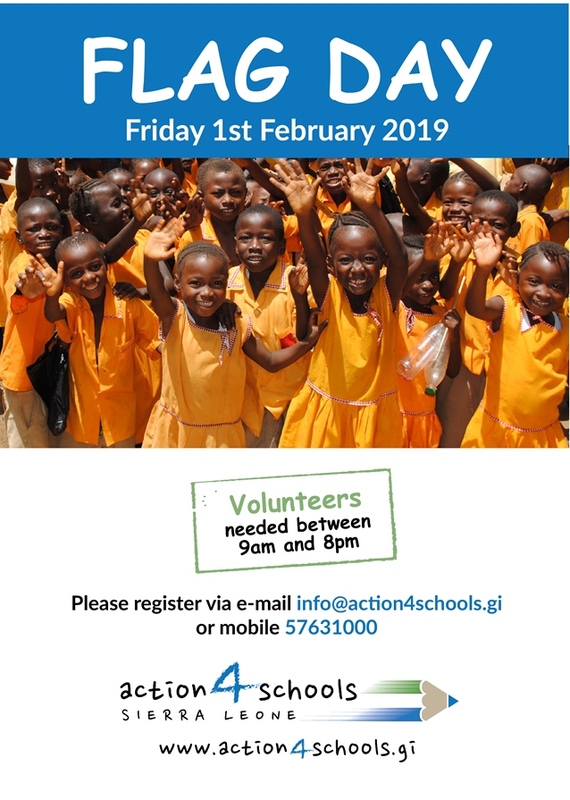 We will be holding our annual Flag Day on Friday 1st February 2019.. help us raise enough funds to provide a new water well… we need volunteers !! Please register via e-mail info@action4schools.gi or call/ wassup 57631000 ….. Thank you !